What is your heritage like? Mine is multi-faceted. One of my grandfathers was a Filipino doctor while the other came from a self-made southern family of farmers and landowners. Now I can relate to my Filipino grandfather in that I am the newest doctor (of physical therapy) in the family. 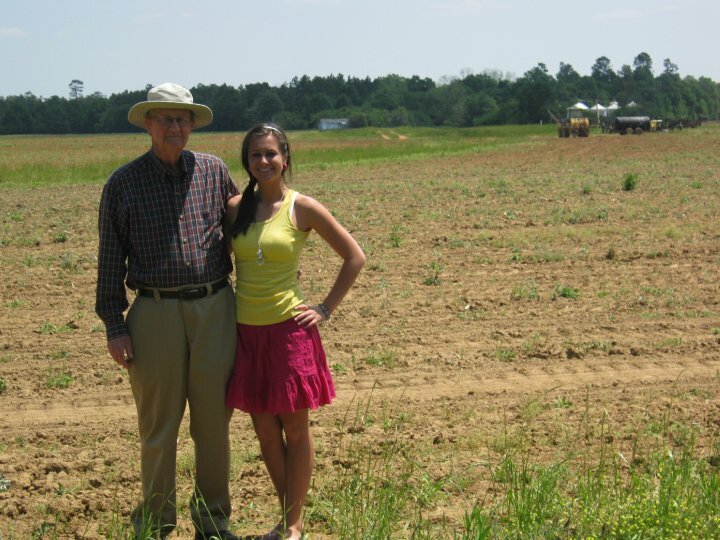 And I have always related to my Grandpa since I grew up living on our family's land, exploring the woods and fields, even picking our cotton. There is a respect and love for land that runs in my blood, and one day I will own a part of it. It seems the older I get, the more I realize how important it is to know their stories. The more of a connection I feel with them, the grandfather I never met - though he impacted most of the small town in which I grew up - and my Grandpa with whom I spent countless hours and still visit when I go home to the family farm. Grandpa and me on the family farm. Maybe you have had a cherished connection to your past as well. But did you know that, as Christians, we have a spiritual heritage as well? One that spans even a greater gulf of time, with an even greater Founding Father? You know that feeling of pride as you hear about an ancestor who accomplished something great? We should feel the same swelling of pride in Mary, the mother of Jesus, as she was "highly favoured" and blessed among women for her unfailing trust in her Father. Hey girls, we have the opportunity to stand out among women, too, for Mary was just like you and I, a daughter of the King. Have you ever been told that you remind your family so much of great-aunt so and so, and though you have never met her, you always wish that you had? Sometimes I feel this about the woman at the well. There is so much about that nameless, fallen, courageous woman that I relate to and I can't wait to meet her one day in heaven. Maybe you have experienced the feeling of an immediate and unbreakable bond with a stranger the moment you realize that they know Christ like you do. That's the Holy Spirit speaking on a different level to your souls. As Anne Shirley would put it, you have found "a bosom friend, and intimate friend... a really kindred spirit to whom I can confide my inmost soul." 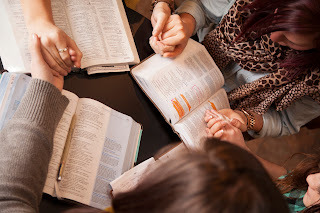 This is the same spirit in which we can read about and connect to our spiritual ancestors in the Bible. Dear Sister, you are not just a creation anymore, you are His child. Since you were saved, you now have a different perspective on the Bible. It is now your family tree. Women in the Bible may not be our earthly heritage, but they are our spiritual heritage. As you read of these women, imagine you are standing beside them. Imagine you are seeing what they see and feeling what they feel. Look at the context of their lives. How is it similar to yours? What can you learn from their mistakes, from their triumphs, from their worship of Jesus Christ? They also knew nothing of Jesus at one time. They stumbled through day 2 of their Christian walk just like we have. The Lord carried them through seasons just like He has for you, even if all you knew was that you were not walking on your own two feet, not recognizing that you were safe in His arms the whole time. This is your heritage, girls. Take ahold of it. God inspired these Words, these stories, He created these women for "such a time as this" (Esther). Keep this in mind as we get to know these women of the Bible in the next few weeks and as you study His Word on your own. Don't stand in the back of the room like an outsider, but sit at Jesus' feet yearning for more (Mary, sister of Lazarus) and glean the fields of these stories for sustenance to get you through the day (Ruth). Stop reading as an outsider & start reading as an insider.